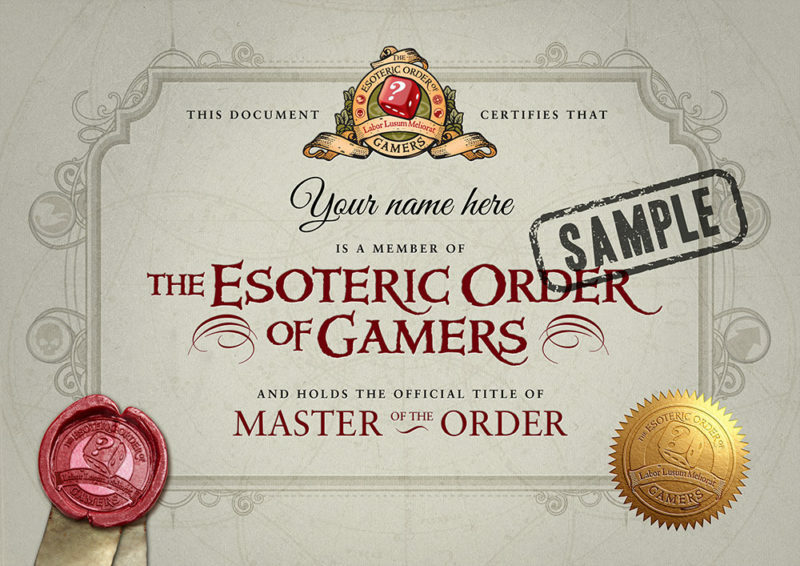 How many Masters of the Esoteric Order of Gamers are there? No one knows. Who are they? No one knows. What are their favourite games? They’re not telling. The Masters are the most honoured and respected of the members of the order, second only to the Grand Master himself. 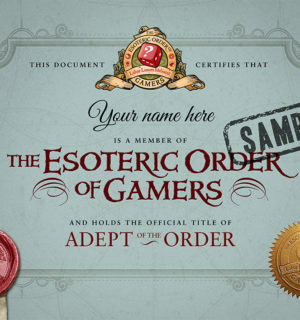 Truly, to be one of this most hallowed circle of the few, one must be fully committed to the ideals of the Esoteric Order and be one of its greatest pillars. For US$50 a month you can join the Masters. You are truly one of the great ones. In addition to sizable bragging rights, you may also decree – once at the end of every 4 month period – a game to be summarised by the Order (if a PDF of the rules is available online). This is a remarkable privilege – exercise it wisely! 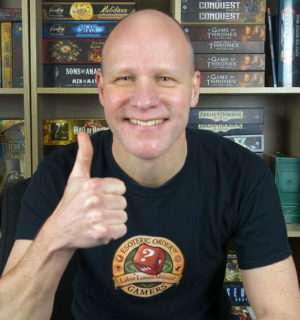 Once every 4 months, pick a game-related topic for a video or article on the EOG.